The Plessas Palace Hotel a family run hotel offering a quality service to its guests at affordable prices. Renowned for our authentic Greek hospitality the Plessas Family take a personal interest in there guests needs and ensure they have everything they require for a pleasant stay. The hotel is the ideal place for those seeking a traditional holiday with the chance to relate to real Greek people and to be treated with hospitality and as an individual. Plessas Palace hotel was under renovation in May 2011 and is ready to welcome its guest with comfortable rooms in terms of furniture, colours, bathrooms. And the Plessas family are working hard at the moment painting the Hotel and getting everything ready for there guests arriving for there holidays. Situated in the resort of Alykanas just 100m from the centre and 800m from the golden sandy beaches is the Plessas Palace Hotel Complex. Alykanas is near to the neighbouring resort of Alykes and with less than 1 km between the two it is a pleasant and easy flat walk from one resort to the other. 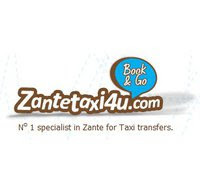 It is situated 18km northwest of Zante. 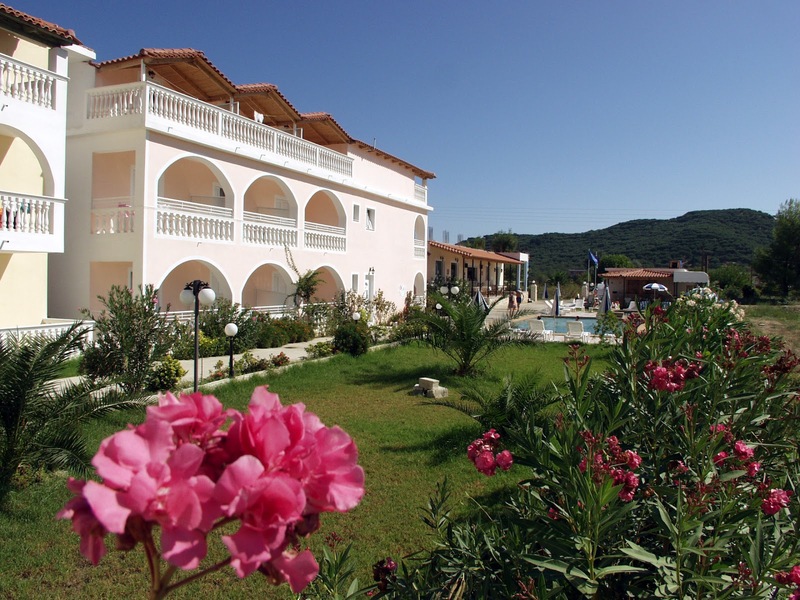 Alykanas is surrounded by olive groves and lush green scenery. 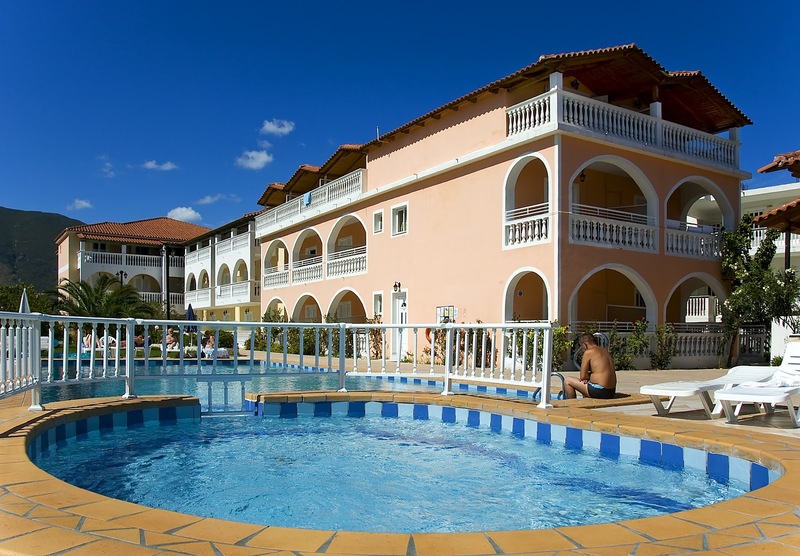 It is a quiet resort, with a friendly, relaxing atmosphere. If you climb or walk the hills around this area you will get some absolutely stunning views and beautiful photographs of the area and bay of Alykes and Alykanas. The taxis in this village have been replaced by horse drawn cart, so give that a try firstly, it is very romantic and that's why a lot of people choose this resort as a honeymoon destination. There isn't much to do in the small village but relax on the beach and enjoy the small but personal Tavernas. The food here is exquisite and the dishes are all authentic Greek and many contain elements of freshly landed fish. Try the Stifado and Mousakka if your looking for a real taste of Greece. The resort itself is mainly for relaxing, and if your looking for a peaceful holiday with very little to do expect relax and enjoy the weather in Zante. You will find the people that choose to holiday here are looking for the same things as you and you will come away from the resort with some great friends and of course holiday memories. 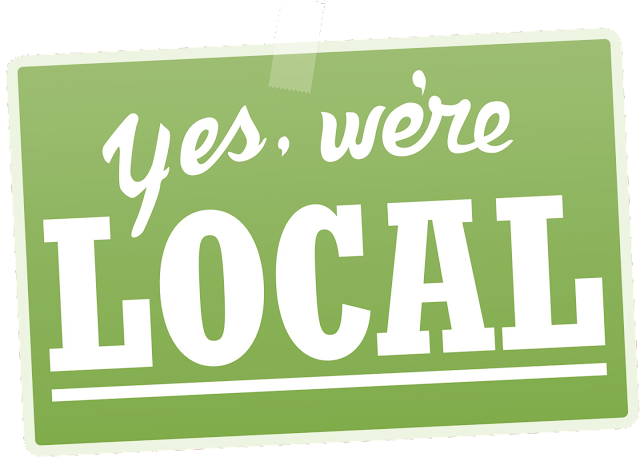 Ask us, we are locals! We are Zakynthians wishing to plan the dream holiday for you on our island! Ask us about accommodation, trips and resorts of Zakynthos. Call us at 26950 29700 or 26950 41480 from 09:00 to 24:00 every day or contact us through messenger, chat, what's up and viber. Trainaki A Wonderful Train Ride In Zante.